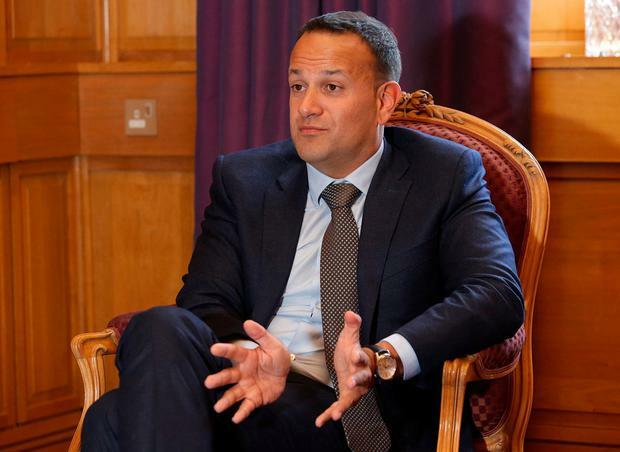 TAOISEACH Leo Varadkar has admitted that the government still hasn’t made progress on reducing the rising number of homeless people but insisted there’s no “quick fix”. Mr Varadkar was speaking at the start of Fine Gael’s think-in meeting in Galway. The last year has seen the numbers in emergency accommodation continue to rise with the figure standing at almost 10,000 people. Speaking to reporters, Mr Varadkar said: “I don’t think the rise in the number of people in emergency accommodation can be described as progress. He said the government is working on it and is “determined” to tackle the issue but like the unemployment and economic crises “it can take time for polices to work and for people to see those results in their communities”. Mr Varadkar pointed to a 40pc reduction in the number of rough sleepers, an increase in the number of new homes being built, and a stabilisation in rising rents – increases which now stand at 2pc rather than “double digit” figures as proof of progress in other areas. He said: “I can understand why people are sceptical but if there was a quick fix solution to this problem I think other people or other political parties would have put that forward by now, would have published it, would have defended it and would have got it through the Dáil for example. “We don’t have a majority in the Dáil. The opposition does. Later, in a speech to Fine Gael members, Mr Varadkar took the opportunity to “commend” under-fire housing minister Eoghan Murphy. He said he has been working to “improve a very difficult situation that was many years if not decades in the making”. Mr Varadkar said as many as 20,000 new homes will be built this year, more than any other year this decade. He said Mr Murphy will be bringing proposals to establish a €1.25bn Land Development Agency to Cabinet next week. He said he believes it will be as significant as the decision to set up the ESB, Aer Lingus and the IDA. Mr Varadkar said: “This is a step change in the Government’s involvement in the housing market. We are going to build new homes and lots of them. “Social housing, affordable housing, private housing and cost rental on state owned land and privately-owned land.